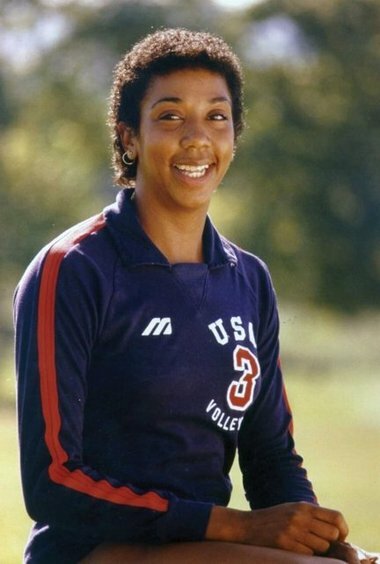 Flora (“Flo”) Jean Hyman – Unarguably one of the most prolific athletes to ever play the sport, Flo Hyman was “The Goddess of Volleyball.” Leaving this world far too soon in 1986 (age 31), Hyman played for World Championships and was an Olympic Medalist (1984). 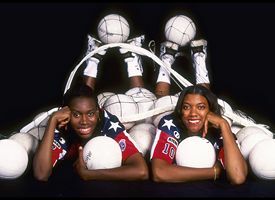 Her specialty was the “Flying Clutchman”, a fast and hard volleyball spike that traveled 110 miles per hour. Hyman stood over 6’ 5” tall. Hyman was inducted into the Volleyball Hall of Fame in 1988. Rita Crockett – Also known as “The Rocket”, Rita Crockett was also an integral part of that 1984 Olympic Silver medal USA team. 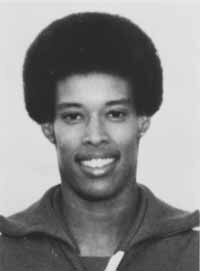 Crockett was chosen for the USA national team while studying at the University of Houston. Shorter in stature, Crockett relied on her outstanding athletic prowess to exhibit her awesome volleyball skill. Her 42” vertical leap allowed her to leap eight inches above a 10’ basketball rim! In 1989, Crockett became the first African-American to win the World Beach Championship with partner Jackie Silva. She was inducted to the Volleyball Hall of Fame in 2011. Now Buck-Crockett is currently Assistant Athletic Director and Head Coach of Indoor and Beach Volleyball at Florida International University. Rose Magers – Another member of the dynamic 1984 Olympic Silver Medal team, Rose Magers first attended the University to Houston and finished her college career with Louisiana State University. 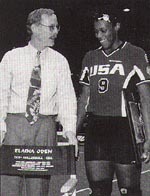 She was a member of the USA National Team both in 1980 and 1984. A timid personality, who did not play juniors’ club level volleyball, Magers was able wow everyone and rightfully earn a spot of the 1982 USA National Team where she was mentored by Flo Hyman. One of the youngest members of the team, Magers earned the position of starting middle blocker at the 1984 Olympics and the title Most Improved Player. Now Magers-Powell, she is an accomplished coach and founder/director of the Rocket City Volleyball Club in Alabama. She is also Head Coach of Volleyball at Alabama A&M University. Nona Richardson – Nona Richardson continues to have an impact more than 30 years after wrapping up her collegiate career as a volleyball player. Richardson was a standout player at Michigan State University from 1978 to 1981; she also was a member of the Association for Intercollegiate Athletics for Women (AIAW) All-State team. After finishing her career as a player, Richardson transitioned to coaching with stints Kentucky University (1984-87), Eastern Michigan University (1987-95) and Valparaiso University (1996-99). Her playing and coaching experience served as the perfect background for her transition to athletic administration at the collegiate level. Richardson has served as compliance coordinator, compliance director, associate athletic director, senior executive athletic director and now serves as Senior Associate Athletics Director and Senior Woman Administrator at the University of Utah. 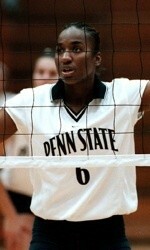 Nadia Edwards – Highlighted as “The Complete Player” as a student-athlete at Penn State University, Nadia Edwards was a standout at the university from 1997 to 2000. 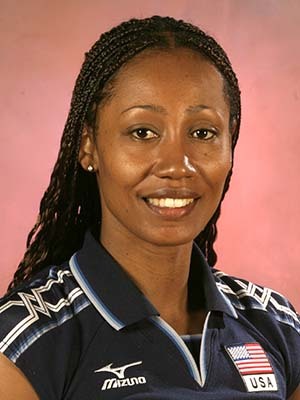 A dynamic middle-hitter, Edwards was instrumental taking her team to three NCAA Final Fours, winning the championship in 1999. After graduating, Edwards played three years professionally, both in the United States and abroad. She began coaching – starting as an graduate assistant for the Virginia Tech volleyball team then eventually as an assistant coach with both Ohio State University and Ohio University. In 2010, she served as head coach at DePaul University until 2017. 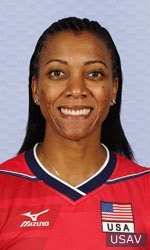 Tara Cross-Battle – A standout player for California State University, Tara Cross-Battle helped the USA National Team win the bronze medal in the 1992 Barcelona Olympics. Cross-Battle competed on four different Olympic teams. Cross-Battle was inducted into the Volleyball Hall of Fame in 2014. Danielle Scott-Arruda – Having earned numerous awards throughout her career, Danielle Scott-Arruda garnered some of her earliest accolades while playing for Long Beach State University in the early ‘90s. Scott-Arruda competed in four Olympic games beginning in 1996 and was instrumental in bringing silver medals home for both the 2008 and 2012 USA teams. Megan Easy – Megan (Hodge) Easy was destined to be a dynamic force in volleyball — her parents both played at the college-level and for the Virgin Islands National Team. Before college, Easy displayed exceptional talent as a hitter in North Carolina both in high school and club volleyball. Easy attended Penn State University from 2006-2009 playing outside hitter…she was named the NCAA Championship Most Outstanding Player for both 2007 and 2008. 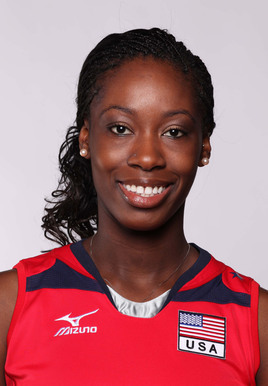 She was a member of the silver medal-winning 2012 U.S. Women’s Olympic team. 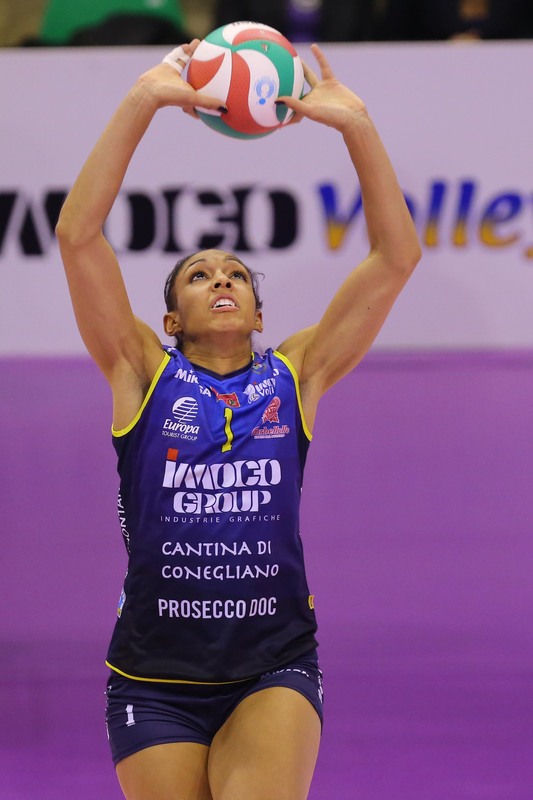 Alisha Glass – Alisha Glass may be the most prolific setters in woman’s volleyball in recent history. Glass’s dedication and technical skill cemented her position among the most elite players in history. A stellar standout in high school in Michigan, Glass was recruited by Penn State University and was starting setter all for years (2006-2009). She led the Nittany Lions to three national NCAA championships. Since college, Glass was named Best Setter of 2014 FIVB Volleyball Women’s World Championship and was named USA Volleyball’s Indoor Female Athlete of the Year for 2013 and 2014.